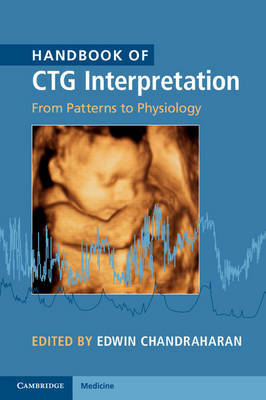 This book promotes an evidence-based paradigm of fetal heart rate monitoring during labour, with a move away from the traditional 'pattern-based' interpretation to physiology-based interpretation. Chapters are presented in a systematic and accessible format, covering topics such as non-hypoxic causes of fetal brain injury, pre-existing hypoxia, types of intrapartum hypoxia, erroneous monitoring of maternal heart rate, fetal scalp blood sampling and fetal ECG (STAN), intermittent auscultation and medico-legal issues. Sections on 'pearls' and 'pitfalls' highlight good practice and common errors to promote best practice. End-of-chapter exercises allow the reader to engage with the theory and test their knowledge of key areas. This is a highly practical manual aimed at obstetricians and midwives, particularly those undergoing CTG training. The book will also be very useful to midwifery and medical students and to all those involved in multiprofessional intrapartum care.